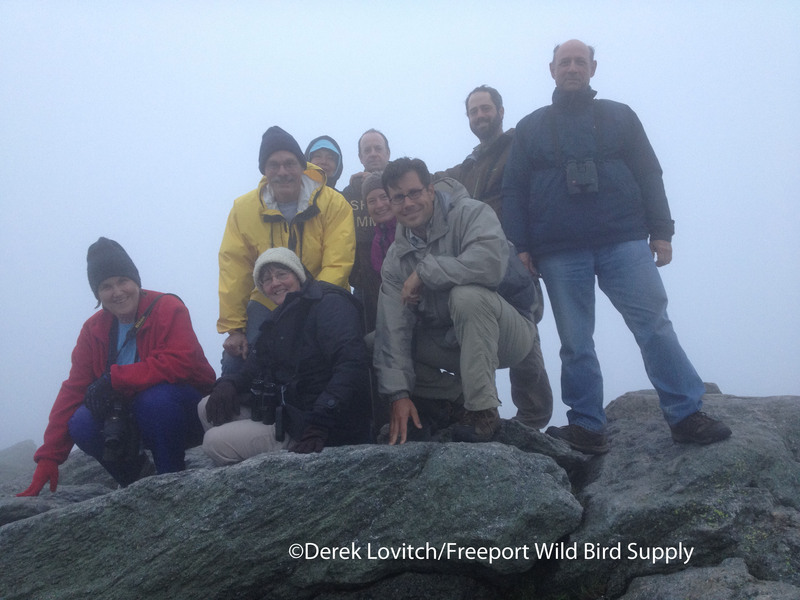 Over the past weekend, I was back in the White Mountains of New Hampshire to visit with Bicknell’s Thrushes. This time, it was for our annual weekend van trip for a “quick hit” for those looking for the thrush – one of the most range-restricted breeders in all of North America. Between two dedicated efforts for the thrush, I also try and find a few other target birds for participants, so we bird all day both days, but in a pleasantly relatively-relaxed pace. 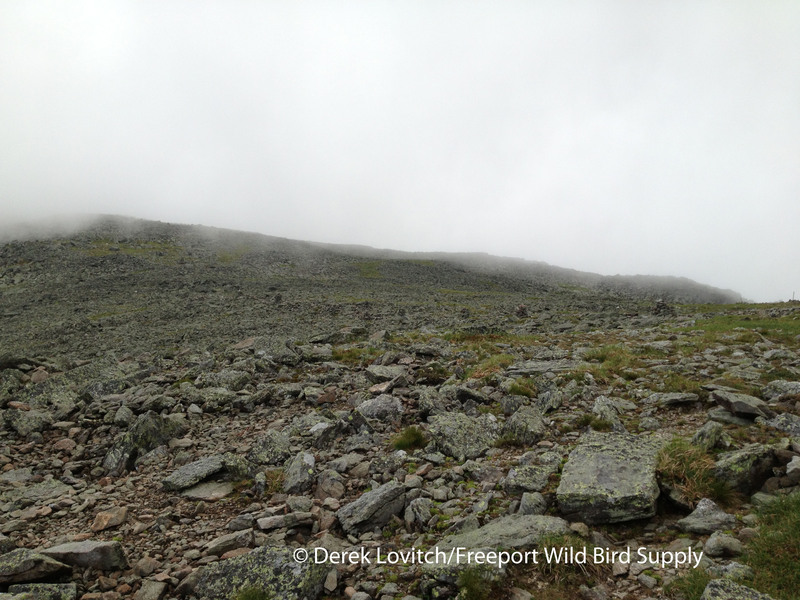 We headed straight for the hills on Saturday, picking up three Fish Crows in Windham, and a Peregrine Falcon just outside of Crawford Notch as we headed over to Pondicherry National Wildlife Refuge. There, a friend turned me onto an area of early-successional forest that yielded our first target bird: Mourning Warbler. With just a little squeaking and pishing (no tapes), one male popped up and sat in the open on a bare twig for over five minutes (of course, my camera was in the car…someone had to take one for the team!). It really was one of, if not the, best view I have ever had of this species on the breeding grounds. Afterwards, we took a stroll along the Mud Pond Trail, which is such a pleasant place to take a walk, with the raised boardwalk and platform into the bog the reward at the end of the short trail. A couple of Canada Warblers were a reward as well. Then, with time to spare, we walked some of the diverse habitats along Hazen Road in Whitefield, which yielded Bobolinks, Savannah Sparrows, and the expected common warblers. A pair of Bank Swallows and a few Hooded Mergansers were in and over a pond, but the highlight were the dozens of Hummingbird Clearwings (sphinx moths) feeding on roadside weeds. I don’t think I have ever seen so many in such a short stretch. The expected rain began just as we were walking back to the car at our last stop. After an early dinner (at which time the rain was really coming down), it was finally time to get to work for real, and we joined the good folks at the Mount Washington Auto Road for a private charter up the Auto Road after hours. The rain was finally clearing as we headed up hill, and it was actually partially clear, and with a fairly light wind when we got out at the alpine meadow around 6,000ft up – quite the contrast from when I was here two weeks ago and we could barely open the van doors. Unfortunately, we did not see any American Pipits this evening. 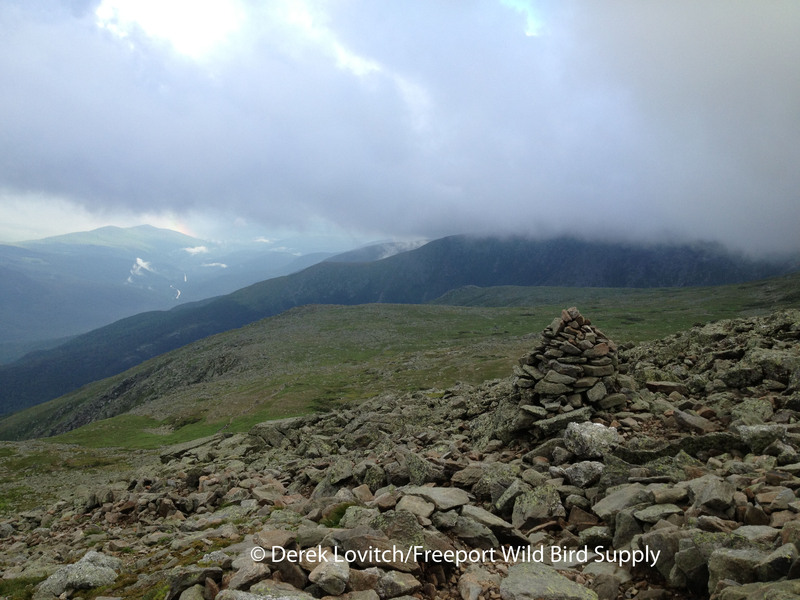 The summit was enshrouded with clouds but with “only” a 30mph wind and no rain, it was far from unpleasant out. But enough with these shenanigans, it was finally time for me to get my game face on. As we rolled downhill a bit to my new favorite thrush spot on the mountain, it began to rain. And then it rained harder. It was a downpour. I don’t think we were stuck in the vans for more than about 10, maybe 15, minutes, but it felt like forever to me! Rain this hard would make thrush-watching impossible. I was seriously stressing. Luckily, it began to let up as quickly as it arrived, and we moved into position. As the first Bicknell’s Thrush of the evening was just about at the edge of the road, a strong gust of wind blew through, pushing the thrush deeper into the krummholz. And it was not coming back out. Further down the road, we eventually had success, with one bird flying back and forth across the road a few times, occasionally pausing in view. Everyone saw it fairly well, but it was almost always moving quickly, and although everyone claimed to be satiated, I was far from convinced that everyone was satisfied. But as we walked to the van, one of the participants saw a thrush walking around. Although it was a Swainson’s, the bird flew across the road. As we were about to start getting back into the van again, two birds hopped out into the road. Hmm, they did not look like Swainson’s, so I moved a little closer, and sure enough two BICKNELL’S THRUSHES were out in the wide open! One bird was picking on the road (I couldn’t help but wonder if it was finding dead insects hit by cars over the course of the day, as this is now the third time I have seen such behavior here), and the other was following it closely. My impression is that a female was the bird feeding, while the male was “attending” her, mostly to make sure her foray away from the nest was not a chance for another male to “visit” with her (or, her to “visit” with him). Regardless of what was going on, we now all had our great looks, and we rolled down the hill and into Gorham fully satiated…well, with the bird – a lifer for all – but not necessarily satiated fully until a celebratory drink at the bar. It’s always a good sign when a group, after a long and tiring day, wants to go out for a post-birding drink! On Sunday morning, we began at the Caps Ridge Trail for a sampling of the area’s boreal breeders. It was rather quiet – it was the end of June afterall – but there was actually more birdsong than when I was here two weeks before. 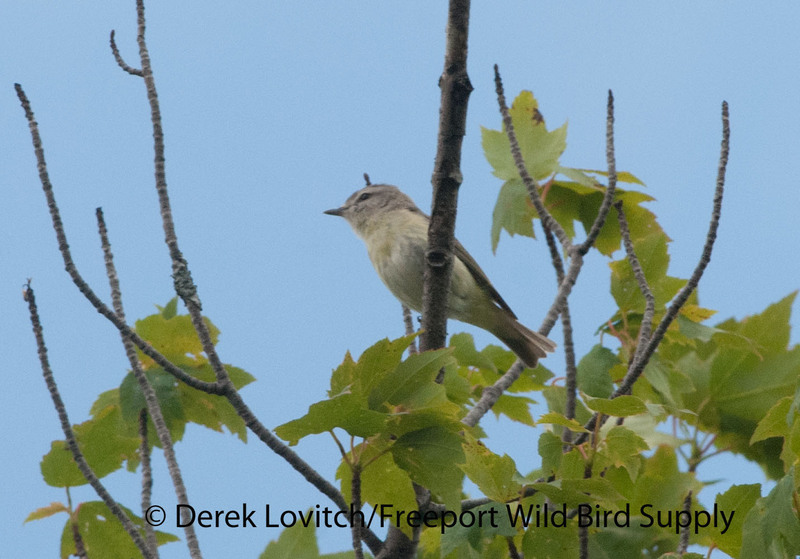 Quite a few Yellow-bellied Flycatchers were calling, and we had some great looks at Blackpoll Warblers in particular. Three Great Blue Herons flying high overhead seemed like an odd sight as we were peering over the forest. Then it was time for another trip into the realm of the Bicknell’s Thrush. This is my “back-up” in case I missed them on Mount Washington (like if that downpour didn’t stop in time), but it has always been just a second serving of this enigmatic species. And, my “secret spot” did not disappoint, as we had a brief, but enjoyable view of a single bird, while hearing two others. As we looked for Boreal Chickadees nearby, a few thrushes started calling and singing, and over the next 20 minutes, we were treated to quite a show as the birds settled their little territorial dispute. One bird even perched in the open at the edge of a trail for a moment, but my camera only took sharp photos of the twigs in the background. But it was really a great experience, and no one minded that we never did run into a Boreal Chickadee. Just what I like to see, a tour full of smiling faces! 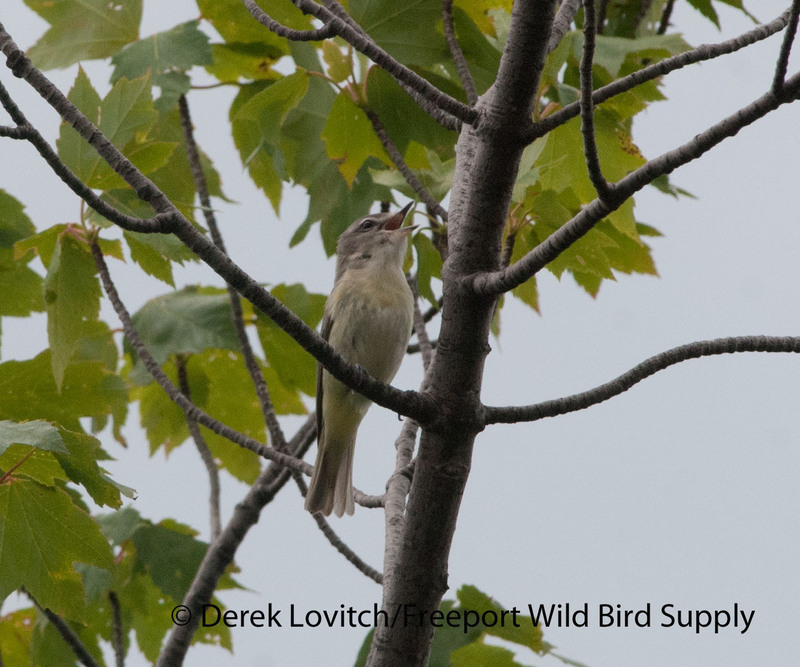 After my “secret” Philadelphia Vireo spot yielded a bird immediately, it was time to move on, and begin our trip home, breaking for a late lunch at the Moat Mountain Smokehouse in North Conway, and for custard in Naples – a perfect dessert to cap a fantastic weekend. 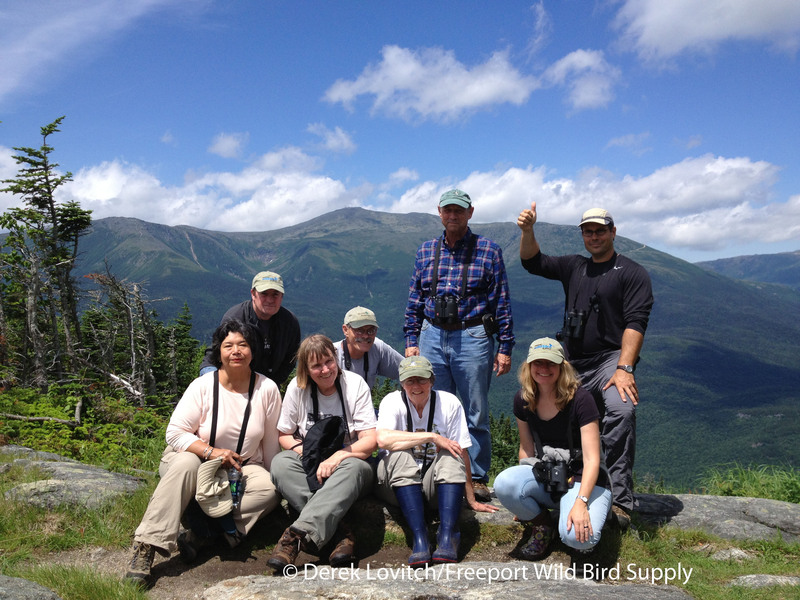 This entry was posted in Private Guiding and Tours and tagged Birding on July 1, 2013 by Derek.